Do You Have Prospects or Only Suspects? Do you have prospects or are they only suspects? I cover this in-depth in my book High-Profit Prospecting. 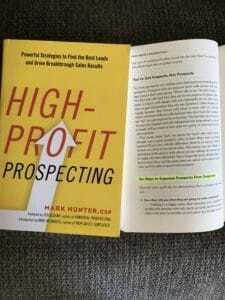 You can be more efficient and successful at prospecting. I’m always amazed at how many times a person’s pipeline can become filled with nothing but suspects who have zero potential to become prospects and ultimately customers. A coach can help you excel in your sales career! Invest in yourself by checking out my coaching program today!